Been using the system for about a week now. So far, so good. Called my arch nemesis, AT$T today to cancel landline. Actually got to talk to a good CSR. 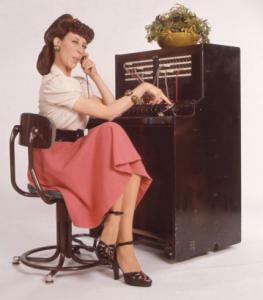 Got a good deal by keeping basic phone service, and a reduction in my DSL price, so I will be keeping the land line. For a 54 year old, and the same phone number for 27 years, that is kind of comforting in a way. My set-up is NOT to integrate ooma and landline, but keep seperate. Not sure if I will keep Premier after the trial period, but it is likely. I have a cordless phone with digital answering machine set to 2 ring answer on my landline. The message directs the caller to leave a message, or dial my ALTERNATE [ooma] phone number [which is on the greeting] in case of emergency. I have set ooma to multi-ring my cell phone. The landline machine has a remote check and toll-saver feature. I will start giving out my ooma number to any new contacts and family members, meanwhile my old number will still be there for backup, or if a long lost relative wants to get in touch with me in regards to any inheritances...I can envision moving more and more away from the landline as I get the ooma number in better circulation. Saving about $40.00 a month over my ATT plan, which is OK by me. BTW, one of the BEST reasons to have ooma, above and beyond the price savings, is the concern and support of OTHER users here on this forum. sounds like you've got everything covered! What did AT&T do for you guys? I went down to the absolute minimum of $7.28 for measured local... Can I do better? MikeekiM wrote: What did AT&T do for you guys? I went down to the absolute minimum of $7.28 for measured local... Can I do better? I didn't do THAT good, but got unlimited local incoming and outgoing calls, plus discount on internet. My AT&T service would be the same with or without the phone. Local calling only, no services. Without the phone, (dryloop) the $35 DSL goes up to $45 plus taxes. Works out to be the same after taxes. My total with taxes is $51.09 with 3rd tier DSL and basic landline after discounts. I was paying nearly 50 bux for phone service alone.